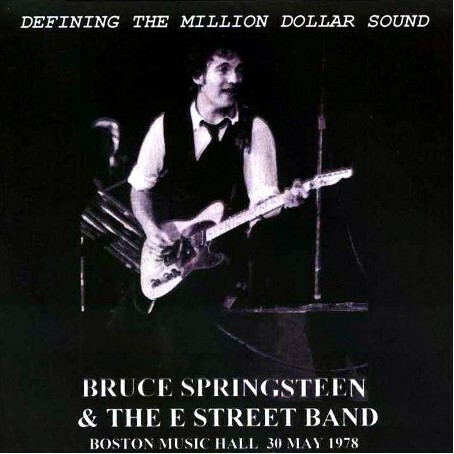 Bruce Springsteen and the E-Street Band played in Boston on May 29th, 30th and 31st 1978 respectively the concert number 5, 6 and 7 of the Darkness On The Edge Of Town Tour. Because The Night has been played for the first time ever. This entry was posted in 1978, bootleg, darkness on the edge of town, springsteen and tagged 1978, bootleg, darkness on the edge of town, springsteen by Tsitalia. Bookmark the permalink. This was the concert when Bruce added “Because the Night” to the encores to capitalize on the recognition of Patti Smith’s cover version that was already a hit single. I’ll take the following night on May 31st as the superior concert for the reason that my favorite version of “The Promise” was played by Bruce on the piano. So, I’m more partial to the bootleg known as Looking For That Million Dollar Sound. Regardless, Bruce was becoming the king of Boss-ton.